When we speak of the Atonement, a word which means “to reconcile,” “to make amends,” we are referring to the sacrifice and ultimate triumph of the Savior over the things that stand in the way of happiness in this life and eternal joy in the world to come. It is the most important event in the history of our universe because it allows us to overcome both spiritual death and physical death. It gives us the opportunity, if we want it, to receive forgiveness, peace, and eternal life. Today I hope that the Holy Ghost will touch our hearts today and strengthen our testimonies about just how much the Savior loves us, about how much he has done for us, and about how much he is still doing for us every single day. Let me take you back in time to the night of the Atonement. The Savior now only has about 15 to 18 hours left in his life. It is Thursday night. The Passover supper of lamb, bitter herbs, and unleavened bread was over. The sacrament had been instituted. The magnificent intercessory prayer was offered. Now, the great and dreadful night had finally arrived. The Lamb of God was about to be sacrificed. He is about to fulfill his divine mission—a mission that was assigned long before the earth was created. 12 Neither is there salvation in any other; for there is none other name under heaven given among men, whereby we must be saved. But before Jesus leads them out of the room, the scriptures record that he and his 11 remaining apostles sang a hymn. Wouldn’t it be marvelous to hear our Savior sing? On this most sacred nights of all nights, the last night of his life, he found strength and comfort by singing. What hymn did they sing? We don’t know for sure, but according to Jewish tradition you would always end the Passover meal by singing the second half of the Hallel. Hallel means praise. Hallelujah means praise to the lord. The Hallel is recorded in Psalms 116, 117, and 118. 116:3 The sorrows of death compassed me, and the pains of hell gat hold upon me: I found trouble and sorrow. 116:4 Then called I upon the name of the Lord; O Lord, I beseech thee, deliver my soul. 116:13 I will take the cup of salvation, and call upon the name of the Lord. 118:18 The Lord hath chastened me sore: but he hath not given me over unto death. These are wonderful Psalms that clearly talk about the Atonement and the state we’d be in if it weren’t for the Messiah. And when they had sung a hymn, he came out, and went, as he was accustomed, over the brook Cedron, to the mount of Olives; and his disciples followed him. We’re not sure where the room was that they had the Last Supper. If it was on the western side of Jerusalem, as tradition says, it would have taken about 20 to 30 minutes to make this walk. Or perhaps, to avoid the soldiers of the Sanhedrin, they exited through the southeast gate, known as the Sha’ar Ha’ashpot, the Dung gate, and walked through the hellish dumping grounds known as Gehenna, where the trash was constantly burning. The Passover occurs on the fourteenth day of the first month of the Hebrew year, Nisan, which usually occurred in late March or early April. Months were determined by the moon with each month beginning with a new crescent sliver of moon. So that night, the moon would have been full, or nearly full. And according to the almanac, the temperature would have been in the low 50s. They would have then walked down into the Kidron Valley, more of a ravine actually, created by the Kidron or Cedron brook, which only babbled after it rained. Besides rainfall, this stream was fed by the runoff from the temple mount directly to the west. It was here at the temple, were thousands of lambs had just been sacrificed for the Passover. In fact, Kidron means “black brook” or “gloomy brook.” Perhaps it got its name its banks were stained with sacrificial blood. There is a little arch bridge there. After crossing it, you go about 50 more yards and there you’ll find a small stone wall surrounding a small grove of olive trees. It was called gat-šěmānî, the Aramaic word for oil press. Perhaps there was an olive mill there where olives were ground into a paste, and then the paste was placed into baskets or sacks and pressed with a weighted timber to squeeze out the oil. The more pressure you applied, the more oil you got. By the way, did you know that when olives are first pressed, the oil comes out reddish and then turns to its golden color? The scriptures indicate that Jesus had been there often. It was probably a privately-owned plot of ground, perhaps owned by one of his disciples, just off the main path from Jerusalem to the top of the Mount of Olives. Because this was the night of the Passover, the city would have been extremely crowded, with perhaps tens of thousands of people camping out around the city in their tents. Gethsemane was the perfect place to go if you wanted someplace more secluded and quiet. Then cometh Jesus with his disciples to a place which was named Gethsemane, which was a garden, and the disciples began to be sore amazed, and to be very heavy and to complain in their hearts, wondering if this be the Messiah. Notice that they still doubted and they still lacked faith, even after all that they had seen and heard—and they had seen and heard the Savior do many, many great things. This should be a testimony to us that there are some things that we can’t reason with our minds or sense with our bodies. There are some things that have a spiritual nature—metaphysical things that require faith to experience. These things can only be revealed to us by the Holy Spirit, and even then, over time we can lose that understanding or lose that fire within if we don’t tend to it. And Jesus, knowing their hearts, said to his disciples, Sit ye here, while I go yonder and pray. Pray that ye enter not into temptation. While they had been baptized and ordained to the Melchizedek priesthood and set apart as Apostles, according to the Book of Acts they hadn’t yet received the Gift of the Holy Ghost—that event would occur 50 days later on the Day of Pentecost. While they had undoubtedly felt the Spirit from time-to-time, they didn’t enjoy its constant companionship and witness. Imagine what your life would be like if you didn’t have that previous gift. No wonder Jesus asked them to pray that they enter not into temptation. It would only be through the grace of God the Father that they would be able to withstand the vast armies of darkness that were gathering around that very place at that very hour. And he took with him Peter and the two sons of Zebedee, James, and John, and rebuked them, and said unto them, My soul is exceeding sorrowful, even unto death; tarry ye here and watch with me. He took the three leaders of the quorum aside and privately rebuked them for their unbelief. They were the de facto First Presidency, the ones who witnessed the transfiguration and saw Moses and Elijah, and heard the voice of God the Father declaring that Jesus was the Christ—these three chosen men were struggling spiritually. Already, Jesus was beginning to feel forsaken. Even his closest friends were distancing themselves from him spiritually and emotionally. But far worse than that was the fact that the Spirit of God was also withdrawing. Jesus had to experience spiritual death—the separation from God—and the agony of hell. And he went forward a little, about a stone’s cast, and kneeled down, and fell on his face, and prayed that if it were possible the hour might pass from him. Jesus, the mighty Jehovah, the God of the Old Testament, was now completely alone. He was also beginning to feel something he hadn’t ever felt before: the sorrow that comes from sin. And it grew more and more intense with every passing second. O Daddy, all things are possible unto thee; if thou be willing, remove this cup from me; nevertheless, not my will, but thine, be done. That we have been privileged to have this highly personal and poignant scene recorded in our scriptures is truly a manifestation of the love of God. It is almost too sacred to talk about. Jesus had now reached the point where he was surprised and shocked at the intensity of the burden. He was feeling an unimaginable about of pain and agony, not only physically, but spiritually and emotionally. And he didn’t know whether or not he could endure it without God’s spirit. Adding to the pressure was the knowledge that failure on his part would mean that all of our souls would be lost. He was asking—no, he was pleading—for an alternative. But there wasn’t to be one. There wasn’t a backup plan. This was the Father’s will. But Jesus had a choice. After all, he was also the literal son of God who had all power over heaven and earth. In fact, under the direction of Heavenly Father he created the heavens and the earth. When he spoke, the very elements obeyed. So he could have stopped at any time. But he freely chose to sacrifice his own will and humbly obey. That is what good sons and daughters do. They set aside their own preferences and desires to bring about the will of the Father, who only has as his intentions the very best for his children. Choosing to sacrifice our own interests and follow the will of the Father is a choice each of us need to make in our own individual lives. And most of the time, if you’re like me, we have to make it over and over again. After Jesus made the choice to obey, the Father sent forth an angel to give him strength. Who was it? We believe it was the mighty angel Michael who was one of the gods who created this world alongside Jehovah. 23 And they would have had no children; wherefore they would have remained in a state of innocence, having no joy, for they knew no misery; doing no good, for they knew no sin. Now let us return back to the New Testament. And being in an agony, he prayed more earnestly; and he sweat as it were great drops of blood falling down to the ground. Now I’m not a doctor, but Luke was, and he is the one who contributed this observation. My research indicates that now-a-days the medical term for this phenomenon is hematidrosis (hē’mat-i-drō’sis), which is what happens when the capillaries surrounding the sweat glands rupture and the blood mingles with the perspiration and comes out the sweat ducts. By the way, 23 years ago, researchers examined 76 cases of hematidrosis and found that acute fear or intense mental contemplation was the most common cause. When it is over, it leaves your skin extremely tender and fragile. If that is literally true, and I believe it is, then the inside of the garments of Jesus would have been coated with blood. I can’t imagine how much that would hurt a few hours later as they stripped off his clothing, then scourged him, then crucified him. It is no wonder, that when Christ comes again, he will come dressed in blood red attire. And he said unto Peter, Simon, Why sleepest thou? What, could ye not watch with me one hour? Watch ye and pray, lest ye enter into temptation. There’s one of the keys to success in life. Even though Jesus was specifically talking to the men who would become the leaders of the Church—the watchmen on the tower—these instructions still apply to us. We are commanded to be constantly alert to the spiritual things that are happening around us. We are to be vigilant even when we are most weary. Because it is precisely at those times when we’ll be tempted to fall asleep and give in to the darkness. There is only one way we can find the strength or the protection to make it through our darkest hours—and that is through prayer. Only God can help us. We are also being taught that after we pray, or as we pray, that is when great things happen. Look at the scriptures for proof. There are hundreds of examples of miracles, revelations, or visitations that occur because someone was praying. Prayer—a manifestation of our faith—always precedes the miracle. Conversely, if we fail to pray, we will be spiritually asleep and miss out on the great things the Lord has in store for us. And they said unto him, The spirit truly is willing, but the flesh is weak. The Inspired Version of the Bible changes that last sentence. In the King James edition it sounds like Jesus was telling them that “the spirit is willing but the flesh is weak.” But the Prophet Joseph indicates that this phrase was actually spoken by the Apostles. Which makes it sound more like a rationalization. That gives me hope. You see, I rationalize things all the time. And if these, the closest friends of Jesus did it, and Jesus still loved them, then perhaps I’m not so bad. Of course, maybe that’s just another rationalization. Yes, the Apostles had just had very long day. Yes, they had just eaten a feast. Yes, they had just had a very spiritually-intense evening. Yes, they sensed that something wasn’t quite right and had doubts and fears. Yes, it was very late at night. Yes, they were emotionally and physically exhausted. And while at least one of the apostles had witnessed part of the Atonement, otherwise we wouldn’t have the record we have (unless, of course, it was later revealed to them), then yes, they had just about all they could take. Then again, perhaps something else was going on here. Perhaps Jesus had to be alone. Perhaps a deep sleep was imposed on these men so they couldn’t stay awake and minister to him. But that, my friends, is merely my conjecture. And again he went away and prayed, and spake the same words, saying, O my Father, if this cup may not pass away from me, except I drink it, thy will be done. And when he returned, he found them asleep again, for their eyes were heavy; neither knew they what to answer him. They ran out of excuses. In the end, each of us will run out of excuses. We all will fall short of our potential. It is part of our human condition. Which is exactly why we needed a Savior—we needed someone who wouldn’t fall asleep when we needed him the most. Three times. Three witnesses. Three members in the Godhead. Three members in a presidency. Three members in a bishopric. Three priests administer the sacrament. Jesus raised three people from the dead. Peter denied Christ three times. He was crucified on the third hour. There were three crosses. There were three hours of darkness. He rose from the dead on the third day. And on and on and on. Throughout the scriptures three is a highly symbolic number that represents divine involvement or help. So whenever you think of three, think of God. Then cometh he to his disciples the third time, and said unto them, Sleep on now and take rest; it is enough, the hour is come; behold the Son of Man is betrayed into the hands of sinners. And after they had slept, he said unto them, Arise, let us go; lo, he who betrayeth me is at hand. I love that clarification from the Inspired Version: “after they had slept.” Jesus, even though he had just spent three to four hours enduring more than we can possibly understand, he still had compassion on his Apostles and let them nap right up to the point when he saw the torch lights approach the garden. Why was the Atonement necessary? So why did all of this take place? Why was the Atonement necessary? Why did Jesus have to suffer so much agony? If we only had the New Testament, we would never know the true answer. This is one of the most precious truths that needed to be restored in the latter days. In order to best answer this question, we need to look to what the Lord himself said about this event. Let’s turn to D&C 19:15-19. I am the light and the life of the world; and I have drunk out of that bitter cup which the Father hath given me, and have glorified the Father in taking upon me the sins of the world, in the which I have suffered the will of the Father in all things from the beginning. He cometh into the world that he may save all men if they will hearken unto his voice; for behold, he suffereth the pains of all men, yea, the pains of every living creature, both men, women, and children, who belong to the family of Adam. 11 He shall go forth, suffering pains and afflictions and temptations of every kind; and this that the word might be fulfilled which saith he will take upon him the pains and the sicknesses of his people. 12 And he will take upon him death, that he may loose the bands of death which bind his people; and he will take upon him their infirmities, that his bowels may be filled with mercy, according to the flesh, that he may know according to the flesh how to succor his people according to their infirmities. 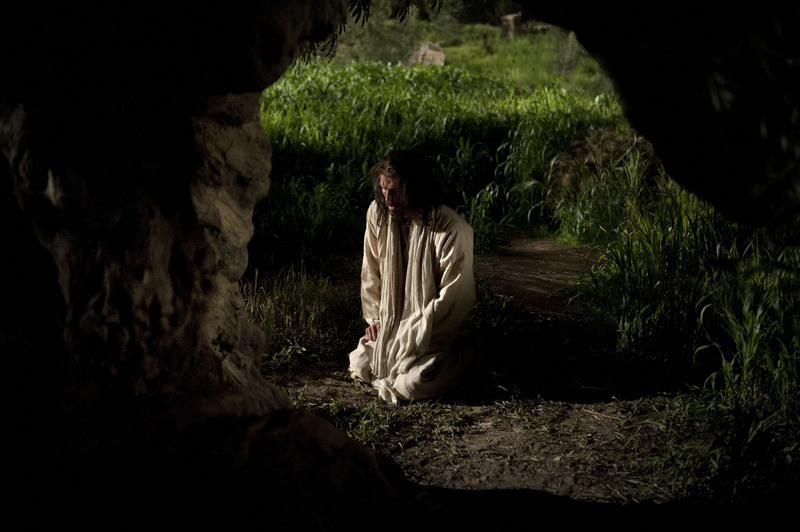 Therefore, from these scriptures, we understand that the suffering Jesus endured in the Garden of Gethsemane was for us. The law of justice had to be satisfied. If we do the crime, we pay the fine and we do the time. There’s no way around it. It is an eternal, unbreakable law. If there is no justice, and only mercy, there would be no consequences for good or bad behavior—the world would be in chaos. To illustrate this idea, let’s suppose we jumped out of an airplane without a parachute. That wasn’t a smart idea and we soon regret it. The law of gravity says we’re going to fall down to the ground and probably go splat. We can’t ignore the law of gravity or make it go away. Fortunately, our best friend, the Savior, saw what we did. But he was wearing a parachute. He jumps out right behind us, reaches out with his arms, and we grab him with all our might. Once we are encircled together, he pulls his rip-cord and we immediately slow down and glide back to the ground. Our merciful Savior, acting out of love and concern for his brothers and sisters, volunteered to come to earth and rescue us from the demands of justice. In Gethsemane, not only did he experience the physical and emotional pain and suffering that we feel throughout life, he also took upon himself all the pain and suffering that we would feel after this life because of our sins. He didn’t just descend to our condition, he descended below it. Our Redeemer was paying an unfathomable price for our transgressions. Where we once had fear, misery, and anguish, he is replacing it with faith, hope, and charity. He is literally rescuing our souls from spiritual death. Furthermore, because of his impending death and resurrection, he is also rescuing us from permanent physical death. Because of all this—Jesus Christ is enabling us to return to the presence of the Father with resurrected, glorified, physical bodies. Even though the Savior was going to spend the next 12 hours being betrayed, humiliated, judged, scourged, mocked, and crucified, the end was finally in sight. Of course, as Elder McConkie indicated in his final General Conference address, the events which occurred in the Garden may have reoccurred as he hung on the cross. Nevertheless, this pivotal event—the Atonement of Jesus Christ—was nearly finished. As a result, Jesus can now offer us the choice to turn away from our sins, repent, and inhabit a magnificent kingdom of glory. But it is our choice. We don’t have to choose to repent. We don’t have to stop sinning entirely—we can still keep doing our favorite sins of commission and omission. We could even choose to reject Jesus Christ entirely. In the end—in the very end—we will get exactly what we desire. While we are free to make choices, we are not free to choose their consequences. Jesus gave us an unimaginably precious gift at the Garden of Gethsemane. But it wasn’t priceless—it was paid for with a price far greater than we can comprehend. Frankly, we don’t deserve it. But fortunately for us, that doesn’t matter. Jesus was willing to do everything and anything in order to save us. And he’s still doing it today! Brothers and sisters, I pray our testimony of the Savior and his atonement will continue to grow in our hearts and minds. I pray that the Holy Spirit will help us make changes so that we can demonstrate our appreciation of this gift by the way we live our lives. And I pray that we may be found following in the footsteps of our Savior, forsaking our selfish desires, and doing our best to love and serve each other. Holoubek, J.E. and A.B. Holoubek (1996), “Blood, Sweat, and Fear. ‘A Classification of Hematidrosis,’ “ Journal of Medicine, 27[3-4]:115-33.